First time on the market in generations. 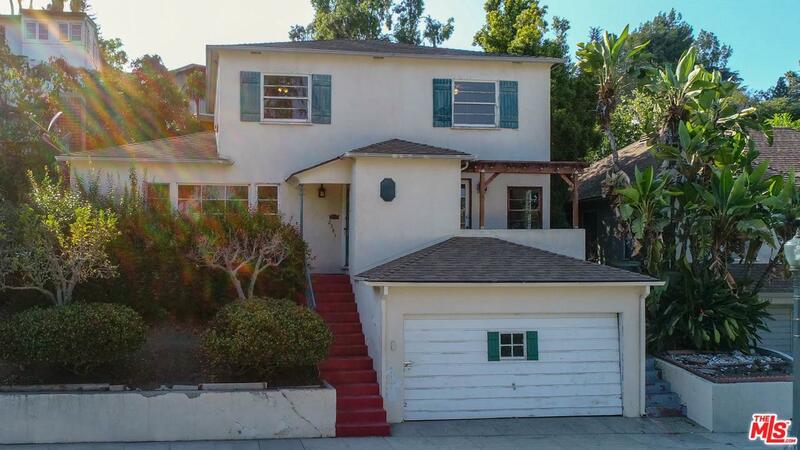 Amazing opportunity to re-imagine this special Silver Lake Traditional home with unobstructed views of the reservoir. Upon entry through the foyer, walk into the bright + spacious living room with picture windows + the ornate fireplace mantel. The dining room features direct access to the kitchen, as well as a balcony to take in the view. The galley kitchen opens to the backyard + a bright breakfast room. Completing the first floor is a laundry room, full bath + bonus room that could be an office, playroom or bedroom. Upstairs is the master bedroom with adjacent bath, a vanity + dressing area, as well as two other light filled bedrooms with ample closet space. A private backyard provides space for quiet relaxation and entertaining. Lastly, a two car garage offers direct access to the house. You'll appreciate this home's charm and potential - moments from the path around the reservoir, eateries, boutiques, and renowned schools of Silver Lake. Sold by Bryony Atkinson BRE#01980658 of Maisonre.